Thomas Cosma has 40 years’ experience advising small and middle-market businesses and in resolving substantial commercial disputes through negotiation, mediation, arbitration and litigation. 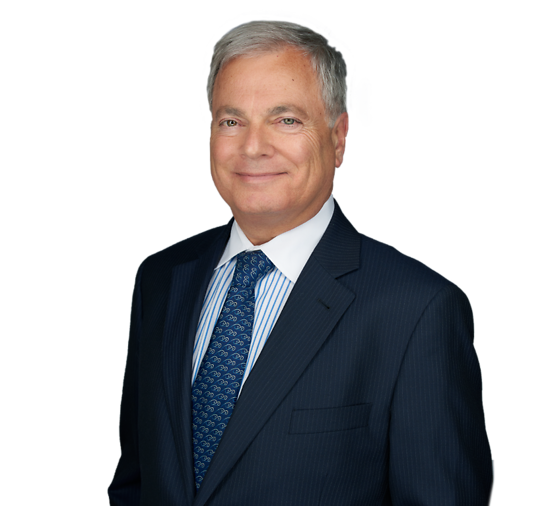 With a focus on construction, commercial, corporate and business law, Tom has litigated matters before the United States District Court for the District of New Jersey, the Third Circuit Court of Appeals, the United States Supreme Court and New Jersey State courts. With regard to companies in the construction industry, Tom advises businesses on a wide range of issues, corporate planning, litigation and contract review. Many of his clients are real estate development entities, including federally subsidized housing projects in New York and New Jersey, as well as professional entities such as law firms, engineering firms, architects and other limited partnerships. His clients appreciate his responsiveness, efficiency and ability to anticipate problems that may affect a litigation strategy. With a strong knowledge of business valuation and estate planning, Tom is also experienced in advising clients on business succession. He has a sophisticated understanding of the complex tax issues involved in the transfer of a business and efficiently resolves the thorny family disputes that often arise in these matters. Following law school, Tom served as a law secretary to the Honorable Peter W. Thomas, Superior Court of New Jersey, Law Division. Participates in the Litigation, Business Law and Public Contract Law sections of the American Bar Association. Within the Business Law Section, Tom is a member of the following committees: Business and Corporate Litigation; Legal Opinions; LLCS, Partnerships and Unincorporated Entities; Middle Market and Small Business; Negotiated Acquisitions; and Uniform Commercial Code. He also serves in the Section of Litigation’s Construction Litigation and Business Torts Litigation Committees and the Section of Public Contract Law’s Model Procurement Code and III-Construction Division Committees. Co-author, "Providing a Total Cost or Modified Total Cost Method Claim"
Thomas Cosma Co-authors "The Rating Game: When Does a Contractor Exceed Its Aggregate Rating?" Thomas Cosma Authors "N.J. Department of Labor Revises Contractor Suspension Regulations: Are They Coming After You?" Thomas Cosma Authors "A Summary of New Jersey's Underground Facility Protection Act"
Co-author, "What is the Length of Prohibition for Offending Contributions Under Chapter 51/Executive Order 117?" Thomas Cosma Authors "Looking Back 10 Years of OCIPs: Is the Claim Still Covered?"